My work has a solid foundation in material. I am drawn to the color, texture, and feel of clay. The way in which clay records the mark of the touch shows a raw gesture of movement of the maker. This emotive connection to object making predates historical record keeping and holds its roots to the deepest parts of human nature and desire. Studying the history of ceramics and art in general, I have developed a palette that is derived in material methodology. I have always been intrigued in experimental methods of art making, and my process of creating comes from a place of the historical, personal, and contemporary. 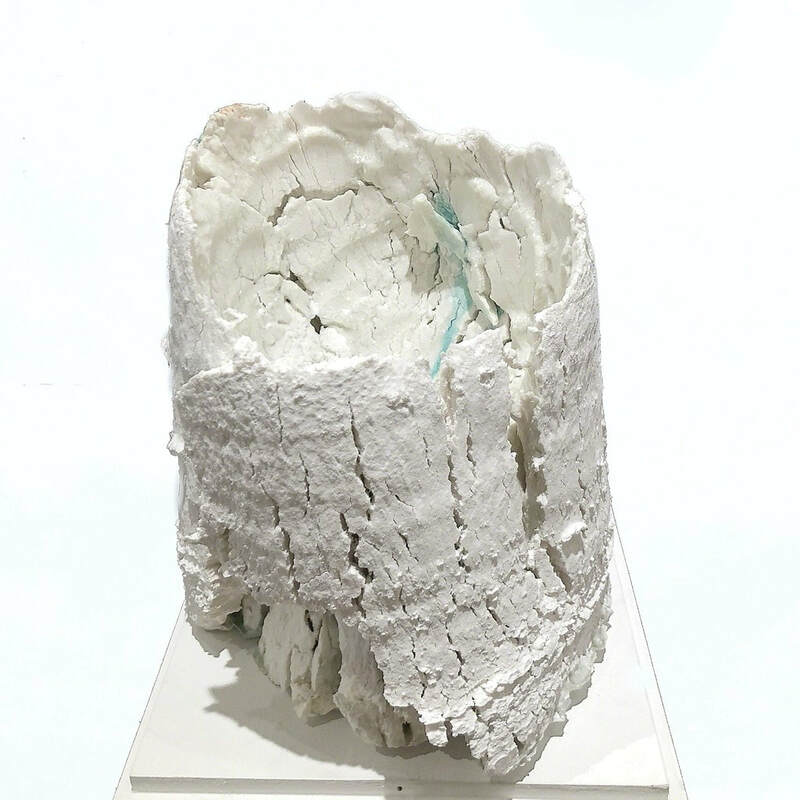 I began using dry clay as a means of creating clay objects after returning from Australia, where I lived for three months during my stay as the resident artist at Strathnairn Arts Association in Canberra. While in Australia I observed an ossuary which was used to preserve and honor the dead ancestors of Aboriginal tribes people. This ossuary would house the pulverized bones of the deceased. The body would first be buried and allowed to decompose, then the bones would be dug up and crushed into powder to be put into an elaborately decorated ossuary. I found this process completely different from any burial ceremony and compelling to say the least. This inspired me to begin to use pulverized clays in containers to abstractly signify the body. Feats of Clay, Lincoln Arts and Culture Foundation, Gladding McBean Factory Gallery.